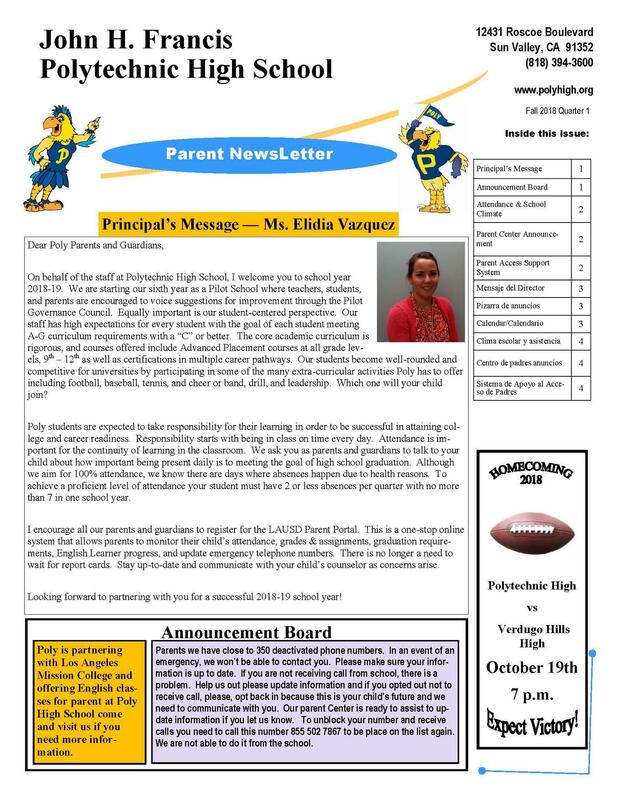 Please help keep our parents informed about what is going on at Poly. Your contributions are very important. 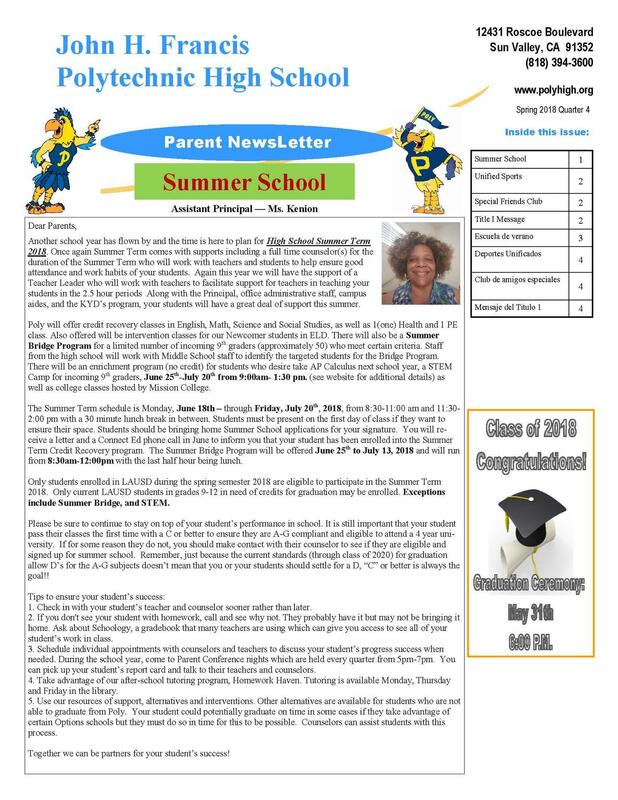 If you would like to contribute a short article or information to be published in the next parent newsletter, please leave your article in my mailbox or email me an attachment to lyeganya@lausd.net. If you have any questions, please feel free to reach me at Ext. 3636. 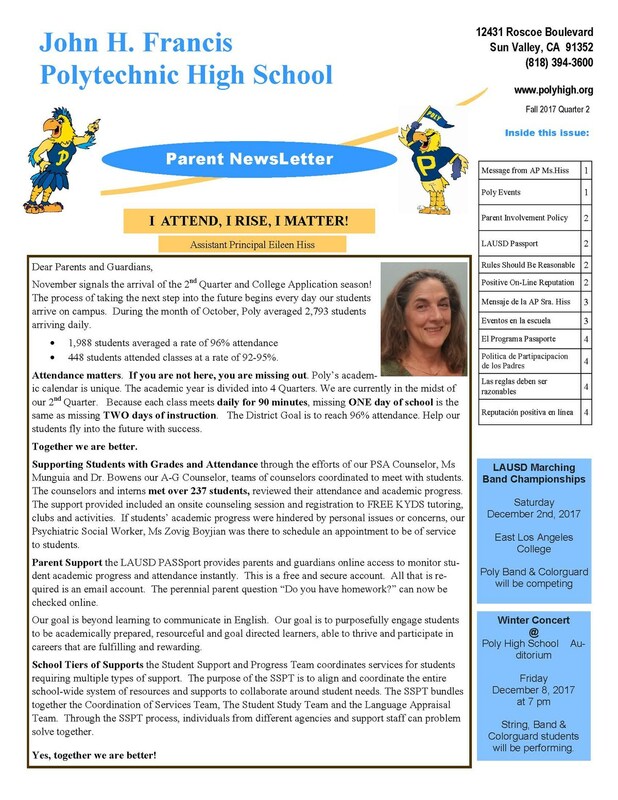 Quarter 1 -2018 Newsletter is out! 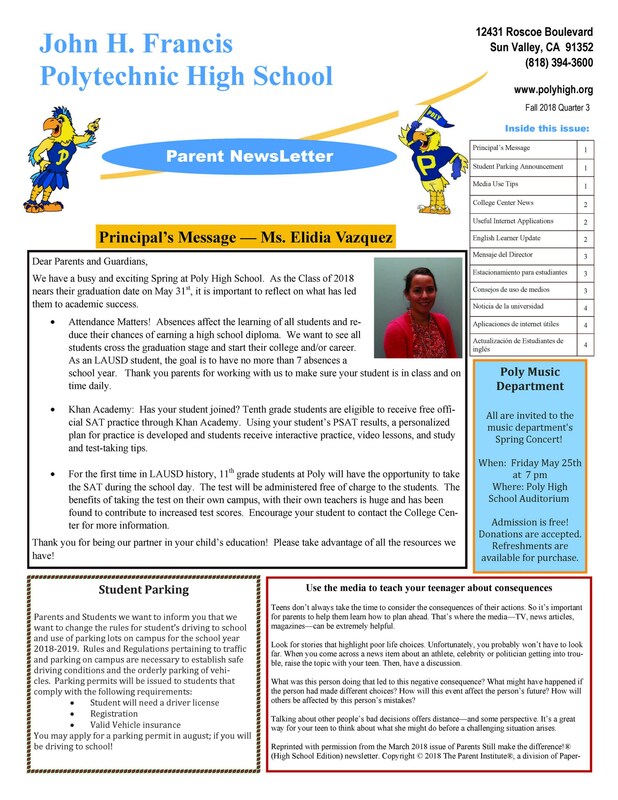 New Parent Newsletters every school quarter.